Most of the comments I’ve seen about Amazon’s acquisition of Whole Foods have described it as Amazon (a) expanding into a new industry (b) continuing to disrupt conventional retail and (c) moving more commerce from offline to online channels. Those are all true, I suppose, but I felt they missed the real story: this is another step in Amazon building a self-contained universe that its customers never have to leave. That sounds a bit more paranoid than it should. This has nothing to do with Amazon being evil. It’s just that I see the over-arching story of the current economy as creation of closed universes by Amazon, Facebook, Google, Apple, and maybe a couple of others. The owners of those universes control the information their occupants receive, and, through that, control what they buy, who they meet, and ultimately what they think. The main players all realize this and are quite consciously competing with each other to expand the scope of their services so consumers have less reason to look outside of their borders. So Amazon buys a grocery chain to give its customers one less reason to visit a retail store (because Amazon’s long-term goal is surely for customers to order online for same-day delivery). And, hedging its bets a bit, Amazon also wants to control the physical environment if customers do make a visit. I’ve written about this trend many times before, but still haven’t seen much on the topic from other observers. This puzzles me a bit because it’s such an obviously powerful force with such profound implications. Indeed, a great deal of what we worry about in the near future will become irrelevant if things unfold as I expect. Let me step back and give a summary of my analysis. The starting point is that people increasingly interact with the world through their online identities in general and their mobile phones in particular. The second point is a handful of companies control an increasing portion of consumers’ experiences through those devices: this is Facebook taking most of their screen time, Google or Apple owning the physical device and primary user interface, and Amazon managing most of their purchases. At present, Facebook, Apple, Google, and Amazon still occupy largely separate spheres, so most people live in more than one universe. But each of the major players is entering the turf of the others. Facebook and Google compete to provide information via social and search. Both offer buying services that compete with Amazon. Amazon and Apple are using voice appliances to intercept queries that would otherwise go through to the others. Each vendor’s goal is to expand the range of services it provides. This sets up a virtuous cycle where consumers find it’s increasingly convenient to do everything through one vendor. Instead of a conventional “social network effect” where the value of a network grows with the number of users, this is a “personal network effect” where the value of a vendor relationship grows with the number of services the vendor provides to the same individual. While a social network effect pulls everyone onto a single universal network, the personal network effect allows different individuals to congregate in separate networks. That means the different network universes can thrive side by side, competing at the margins for new members while making it very difficult for members to switch from one network to the other. There’s still some value to network scale, however. Bigger networks will be able to create more appealing services and attract more partners, The network owners will also provide sharing services that make it easy for members to communicate with each other (see: Apple Facetime) but harder to interact with anyone else. So the likely outcome is a handful of large networks, each with members who are increasingly isolated from members of other networks. Think of it as a collection of tribes. Even without any intentional effort by the network owners, members of each network will have shared experiences that separate them from outsiders: try asking an Android user for help with your iPhone. The separation will become even more pronounced if the network owners more actively control the information their members receive – something that’s already happening in the name of blocking terrorists, bullies, and other genuinely bad actors. Of course, people who prefer a particular world view will be able to form their own networks, which will be economically viable because the personal network effect with outweigh the social network effect. These splinter networks might be owned independently (it’s easy to imagine a Fox News tribe) or owned by a bigger network that just gives each tribe what it wants. Either way, you have a society whose tribes that are mutually unaware at best and actively hostile at worst. - Growth of Voice. As I’ve already mentioned, voice interactions are an alternative to conventional screen interactions. What’s important is the voice interaction often happens first: it’s easier to ask Alexa or Siri to do something than to type that same request into Google, Facebook, or Amazon. This means whoever owns the voice interaction can intercept customer behaviors before anyone else. So pay close attention to voice-based systems: far from a gimmick, they could be keys to the kingdom. - Owning the Pipes. Network owners want above all to keep their customers’ data to themselves. This will make them increasingly interested in owning the pipes that carry that data and in blocking anyone else from tapping those pipes. Don’t be surprised to see the network owners take an interest in physical networks (cable and phone companies) and alternative connections (community wifi). Also expect them to argue that physical network owners shouldn’t be allowed to use the data they carry (an argument they just lost in Congress but will likely resurrect on privacy grounds) and that they should be able to buy preferential access (the “network neutrality” debate they are now winning in that same Congress). Could a pipe owner grow its own network? The folks at Verizon apparently think so: that’s why they bought AOL and Yahoo! - Data Motels. It goes pretty much without saying that network owners are eager to take data from other companies, but stingy about sharing their own. So they’re happy to import other companies’ customer lists and serve them ads, conveniently getting paid while gaining new information. But they’re less interested in exporting data about those same common customers. It’s the information version of a roach motel: data checks in but it can’t check out. - Expanding Services. We’ve already covered this but it’s so important that it bears repeating: network vendors will continue to extend the services they offer, tightly integrating them to increase the “personal network value” of their relationships. Watch carefully and you’ll notice each new service gives customers a reason to share more data, gives the network owners still more information to better personalize customer services. Everybody wins, although the networks win more. - The AIs Have It. The networks’ ultimate goal is to handle all their members’ purchases. The best way to do this is to have members delegate as many decisions to the network as possible, starting with things like subscriptions for restocking groceries and on-demand transportation. This saves the effort of making individual sales and, more important, eliminates opportunities for members to leak out of the system. Delegation requires the members to trust the network to make the right decisions on their behalf. Gathering more data is one key to this; artificial intelligence to make good decisions with that data is another. So if you’re thinking the networks are investing in AI only because they’re nerds who like science projects, think again. - Trust. Arguably, trust is the result of experience, so making good decisions for members should be enough to earn permission to make more decisions. But in practice it will be impossible for consumers to know if the network is really making the best possible choices. So building trust through conventional branding and relationship management will be critical skills for the network marketers, especially when it comes to recruiting new members. (Of course, with network usage starting somewhere around age 2, membership is likely to be more hereditary than anything else.) Data and AI systems will help network marketers know the best way to build trust with each individual, but human marketing skills will also be needed – at least for now. - Marketing to Networks. If the networks really do take control of their members’ commercial lives, the role of marketers at non-network companies is much diminished. This is already happening: every dollar spent on pay-per-click search or social advertising is essentially a dollar the network spends on the owner’s behalf, based on data only the network possesses. Today, non-network marketers still set budgets, write copy, and select keywords. But those tasks are well on their way to being automated and it won’t matter much whether the automation runs on a machine at the network or the non-network company. The role of the non-network marketer in this world is to market to the network itself. This is already a reality: search engine optimization is really marketing to network search algorithms. It will be even more important when the member isn’t directly involved in the purchase process. No doubt there will be a certain amount of “incentivizing” of the network to pick a particular product, some of it under the table. But there will also be competition to build products and services that best meet member needs and to create brands that members are pleased to have chosen on their behalf. - Whither MarTech? Marketers at non-network companies will still have jobs whether or not they sell directly to their customers. But martech vendors could face a threat to their existence. Simply put, if the networks capture all direct customer interactions and don’t share their data with outsiders, the market for customer data platforms, journey orchestration engines, predictive analytics, content management systems, and other martech mainstays will vanish. This probably overstates the problem: presumably companies will still interact directly with people after have made a purchase, even if the purchase itself is managed by the network. But the majority of marketing technology is used for customer acquisition, and much of that could become obsolete. - Alternate Routes. Like Dickens’ Ghost of Christmas Future, I’m only showing you what might be. Non-network marketers have a strong incentive to preserve direct access to their current and future customers and many suppliers have ways to help. Non-network advertising media are first in line, of course, although they’ve been losing ground at an alarming rate. But many other companies are finding creative ways to capture customer data and attract customers’ attention. Location data and mobile apps are especially contested territory because they let firms reach customers directly in ways that customers find highly valuable. The lowly mobile wallet, if it remains outside the networks’ control, could be an alternative channel for reaching a mass audience. Telecommunication providers, with their deep pockets, broad reach, physical access to mobile devices, and vast government relationships, are probably a better bet. Of course, the telcos would probably rather join the network oligopoly than break it. But the broader point is there are still many players in the game and the outcome is far from decided. I hope this helps you make a little more sense of what's happening on the field. 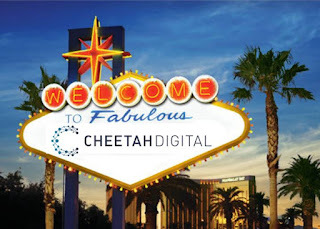 I spent the latter part of last week still in Las Vegas, switching to the client conference for Cheetah Digital, the newly-renamed spinoff of Experian’s Cross Channel Marketing division. 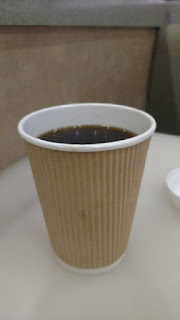 Mercifully, this was at a relatively humane venue, the big advantage being I could get from my hotel room to the conference sessions without walking through the casino floor or a massive shopping mall. But it was still definitely Vegas. The conference offered a mix of continuity and change. Nearly every client and employee I met had been with Cheetah / Experian for at least several years, so there was a definite feeling of old friends reconnecting. Less pleasantly, Cheetah’s systems have also been largely unchanged for years, something that company leaders could admit openly since they are now free to make new investments. Change was provided by the company’s new name and ownership: the main investor is now Vector Capital, whose other prominent martech investments include Sizmek, Emarsys, and Meltwater. There’s also some participation from ExactTarget co-founder Peter McCormick and Experian itself, which retained 25% ownership. The Cheetah Digital name reflects the company’s origins as CheetahMail, which Experian bought in 2004 and later renamed, although many people never stopped calling it Cheetah. Looking ahead, newly-named Cheetah CEO Sameer Kazi, another ExactTarget veteran, said the company’s immediate priorities are to consolidate and modernize its technology. In particular, they want to move all clients from the original CheetahMail platform to Marketing Suite, which was launched in 2014. Marketing Suite is based on the Conversen, a cross-channel messaging system that Experian acquired in 2012. Kazi said about one third of the company’s revenue already comes from Marketing Suite and that the migration from the old platform will take four or five years to complete. Longer term, Kazi said Cheetah’s goal is to become the world’s leading independent marketing technology company, distinguishing Cheetah from systems that are part of larger enterprise platforms. Part of the technical strategy to do this is to separate business logic from applications, using APIs to connect the two layers. This will make it easier for marketers to integrate external systems, taking advantage of industry innovation without requiring Cheetah to extend its own products. Cheetah will also continue to provide services and build customer databases for its clients. Products based on third party data, such as credit information and identity management, have remained with the old Experian organization. With $300 million in revenue and 1,600 employees, Cheetah Digital is already one of the largest martech companies. It is also one of the few that can handle enterprise-scale email. This makes it uniquely appealing to companies that are uncomfortable with the big marketing cloud vendors. The company still faces a major challenge in upgrading its technology to optimize customer treatments in real time across inbound as well as outbound channels. It's a roll of the dice. I spent the first part of this week at Pegasystems’ PegaWorld conference in Las Vegas, a place which totally creeps me out. * Ironically or appropriately, Las Vegas’ skill at profit-optimized people-herding is exactly what Pega offers its own clients, if in a more genteel fashion. What we did hear about was artificial intelligence. Pega founder and CEO Alan Trefler opened with a blast of criticism of other companies’ over-hyping of AI but wasn’t shy about promoting his own company’s “real” AI achievements. These include varying types of machine learning, recommendations, natural language processing, and, of course, chatbots. The key point was that Pega integrates its bots with all of a company’s systems, hiding much of the complexity in assembling and using information from both customers and workers. In Pega’s view, this distinguishes their approach from firms that deploy scores of disconnected bots to do individual tasks. Pega Vice President for Decision Management and Analytics Rob Walker gave a separate keynote that addressed fears of AI hurting humans. He didn’t fully reject the possibility, but made clear that Pega’s official position is it’s adequate to let users understand what an AI is doing and then choose whether to accept its recommendations. Trefler reinforced the point in a subsequent press briefing, arguing that Pega has no reason to limit how clients can use AI or to warn them when something could be illegal, unethical, dangerous, or just plain stupid. Apart from AI, there was an interesting stream of discussion at the conference about “robotic process automation”. This doesn’t come up much in the world of marketing technology, which is where I mostly live outside of Vegas. But apparently it’s a huge thing in customer service, where agents often have to toggle among many systems to get tasks done. RPA, as its known to its friends, is basically a stored series of keystrokes, which in simpler times was called a macro. But it’s managed centrally and runs across systems. We heard amazing tales of the effort saved by RPA, which doesn’t require changes to existing systems and is therefore very easy to deploy. But, as one roundtable participant pointed out, companies still need change management to ensure workers take advantage of it. Beyond the keynotes, the conference featured several customer stories. Coca Cola and General Motors both presented visions of a connected future where soda machines and automobiles try to sell you things. Interesting but we’ve heard those stories before, if not necessarily from those firms. But Scotiabank gave an unusually detailed look at its in-process digital transformation project and Transavia airlines showed how it has connected customer, flight, and employee information to give everyone in the company a complete view of pretty much everything. This allows Transavia to be genuinely helpful to customers, for example by letting cabin crews see passenger information and resolve service issues inflight. Given the customer-hostile approach of most airlines, it was nice to glimpse an alternate reality. The common thread of all the client stories (beyond using Pega) was a top-down, culture-deep commitment to customer-centricity. Of course, every company says it’s customer centric but most stop there. The speakers’ organizations had really built or rebuilt themselves around it. Come to think of it, Las Vegas has that same customer focus at its core. As in Las Vegas, the result can be a bit creepy but gives a lot people what they want. Maybe that's a good trade-off after all. * On the other hand, I had never seen the corrugated hot cup they had in the hotel food court. So maybe Vegas is really Wonderland after all. ** The solution calculates the value a company should bid to reach individual customers on Facebook, Google, or other ad networks. Although the press release talks extensively about real time, Pega staff told me it's basically pushing lists of customers and bid values out to the networks. It's real time in the sense that bid values can be recalculated within Pega as new information is received, and revised bids could be pushed to the networks. SessionM launched in 2012 as a platform that increased user engagement by adding gamification and loyalty rewards to mobile apps. The system has since expanded to support more channels and message types. This puts it in competition with dozens of other customer engagement and personalization systems. Compared with these vendors, SessionM’s loyalty features are probably its most unusual feature. But it would be misleading to pigeonhole SessionM as a system for loyalty marketers. Instead, consider it a personalized messaging* product that offers loyalty as a bonus option for marketers who need it. In that spirit, let’s break down SessionM’s capabilities by the usual categories of data, message selection, and delivery. Data: SessionM can gather customer behaviors on Web and mobile apps from its own tags or using feeds from standard Web analytics tools. It can also ingest data from other sources such as a Customer Data Platform or CRM system. Customer data is organized into profiles and events, which lets the system store nearly any type of information without a complex data model. SessionM can also accommodate non-customer data such as lists of products and retail stores. It can apply multiple keys to link data related to the same customer, but requires exact matches. This works well when dealing with known customers, who usually identify themselves when they start using a sytem. Finding connections among records belonging to anonymous visitors would require additional types of matching. Message Selection: SessionM is organized around campaigns. Each campaign has a target audience, goal (defined by a query), outcome (such as adding points to an account or tagging a customer profile), message, and “execution” (the channel-specific experience that includes the message). SessionM describes the outcome as primary and the message as following it: think of notification after you've earned an award. Non-loyalty marketers might think of the message as coming first with the outcome as secondary. In practice, the order doesn’t matter. What does matter is that campaigns can include multiple messages, each having its own selection rules. Message delivery can be scheduled or triggered by variables such as time, frequency, and customer behaviors. This means a SessionM campaign could deliver a sequence of messages over time, even though the system doesn’t have a multi-step campaign builder. Rules can draw on machine learning models that predict content affinity, churn, lifetime value, near-time purchase, and engagement. Clients can use the standard models or tweak them to fit special needs. Automated product recommendations are due later this year. Messages are built from templates that can include dynamic elements selected by rules or models. Delivery: Campaign messages are delivered through widgets installed in a Web page or mobile app, through lists sent to email providers or advertising Data Management Platforms (DMPs), or through API calls from other systems such as chatbots. Multiple campaigns can connect through the same widget, which raises the possibility of conflicts. At present, users have to control this manually through campaign and message rules. SessionM is working on a governance module to manage campaign precedence and limit the total number of messages. The system can generate presentation-ready messages or send data elements for the delivery system to transform into the published format. It supports real time response by loading customer profiles into memory, limiting itself to information required by active campaigns. External systems can access the customer profiles directly through JSON API calls or file extracts, but not through SQL queries. SessionM has about 70 clients. The company originally sold to large enterprises, which are still about half its customer base. It is now pursuing mid-market clients more actively. The company has raised $73.5 million in funding. * You’ll note that I’m using “customer engagement”, “personalization”, “messaging”, and other system categories interchangeably. It’s probably possible to distinguish among them, but, in practice, all assemble a customer profile, use rules to select messages for individuals, and deliver those messages through execution systems such as Web sites. Most marketers will want to pick just one system to do this sort of thing, so they’ll evaluate vendors from all those classes against each other. This makes distinguishing between them largely an academic exercise.